Extra sharp cheddar aged by us for 7 years. Very sharp flavor. Texture is very dry and crumbly. 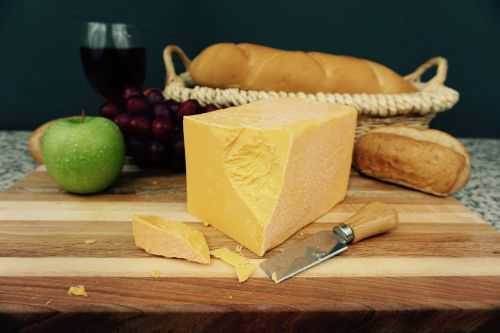 This cheese is one of our specialties! 1 lb. Service Area: Madison, Milwaukee, Stoughton, Baraboo, Oconomowoc, Wisconsin Dells, Racine, Holmen, Hartland, La Crosse, New Berlin and surrounding WI communities.